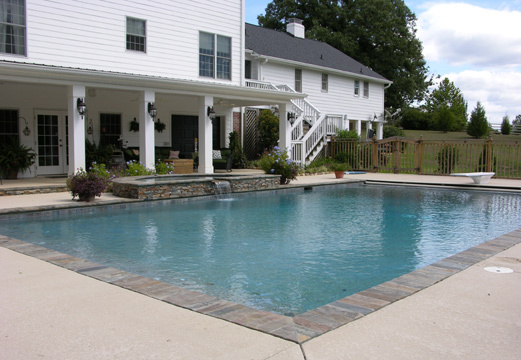 The Clearwater Company recently won a Master Pools Guild award for this pool in the Traditional Pool category. 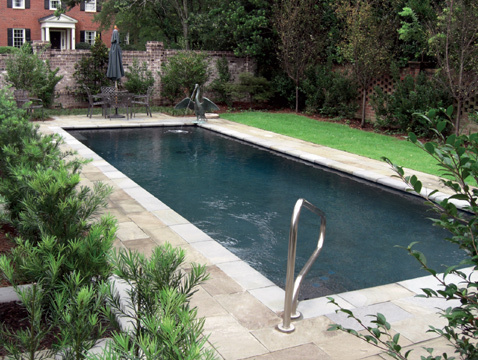 This pool is 20’x40′ with a depth of 3′ to 6′. 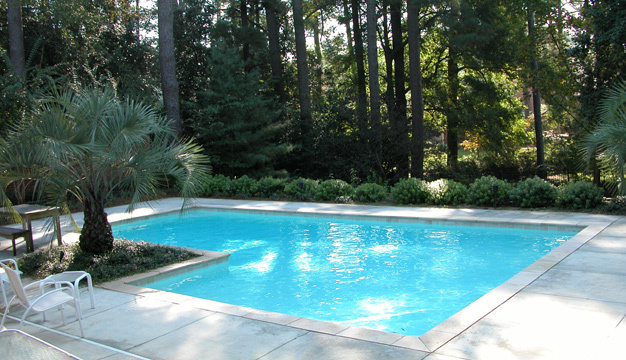 The pool holds 27,000 gallons of water. 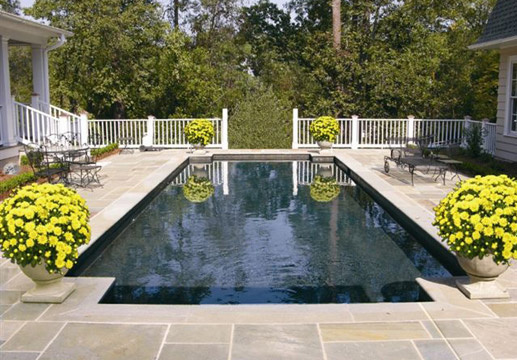 The coping is Pennsylvania Blue Stone and the pool tile is “I’ve Got the Blues” from Palmetto Tile. The plaster is Maui Gem-Black Diamond. 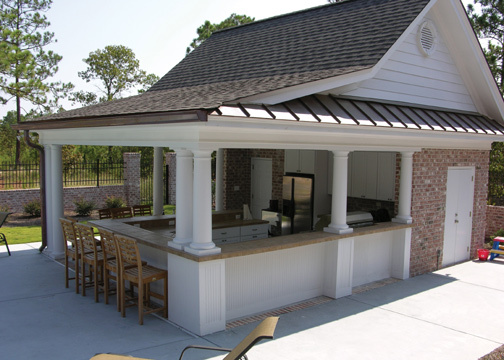 The owner provided the statue in the upper right-hand corner and The Clearwater Company plumbed it as a water feature. Reference P-18.